Bryn Du, (near Llanfaelog) Windmill - Felin Isaf (also known as Melin Y Bont) on the Isle of Anglesey (Ynys Môn) in North Wales. Anglesey, Bryn Du, Melin-y-Bont Mill July 2009. Anglesey, Bryn Du, Felin Isaf (Melin Y Bont) Windmill - as it was, with Bryn Du's other Windmill - Felin Uchaf (Maelgwyn) - in the distance. 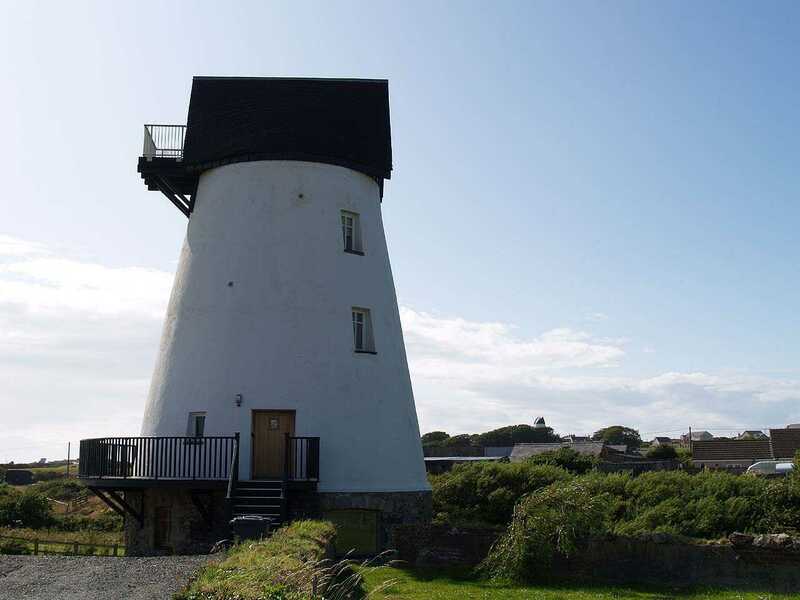 In my opinion the most sensibly designed of all the Windmills on Anglesey - built in 1825 - it could operate from the forces of both water and the wind. 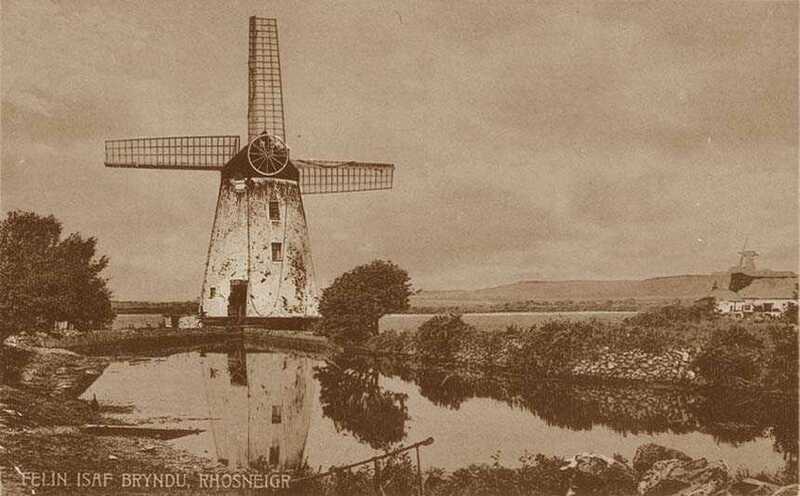 When the water levels were low on Anglesey it ran as a Windmill, when the weather was calm it operated as a Water Mill. 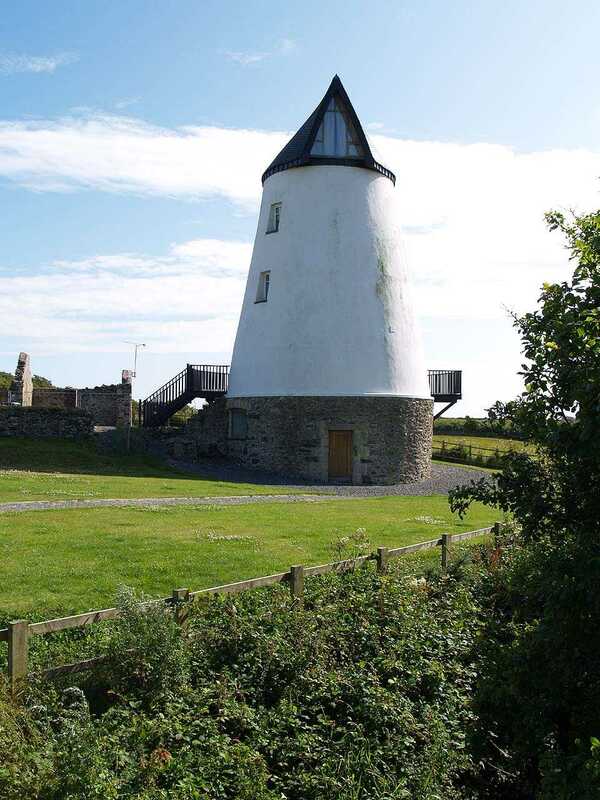 I am not aware of any other on Anglesey that could boast the same, except possibly at Bodffordd, where there is a Windmill and a Water Mill, but built separately on the same site. That may well be the reason that this Windmill carried on working, possibly until the 1930's. 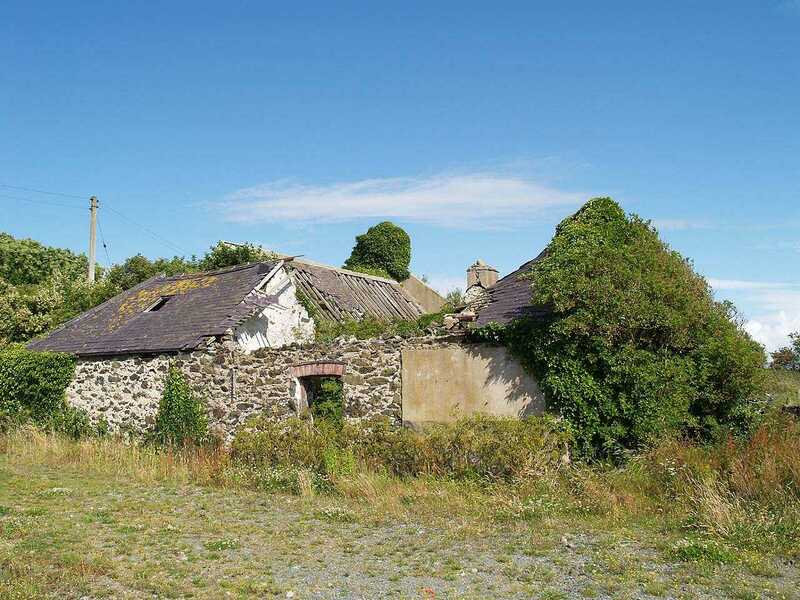 Now converted to a dwelling, and the water drained from the grounds.